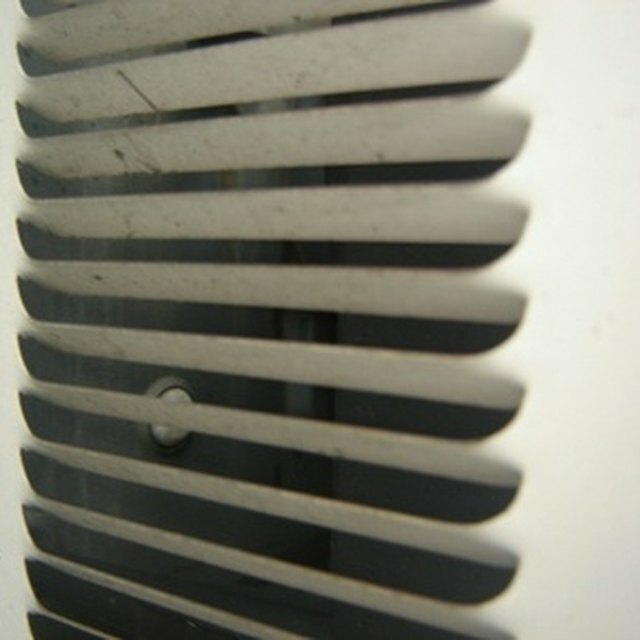 Air conditioner efficiency is an important factor when buying a new system. Knowing what air conditioner is more efficient than another is made simple by understanding the seasonal energy efficiency rating (SEER). Basically, the higher the SEER number, the more energy-efficient the air conditioner. The minimum SEER allowed as of 2010 is 13, according the U.S. Department of Energy. One factor that affects the SEER of your air conditioner is whether it operates with a multi-speed or variable-speed air handler. Speed settings refer to how fast the blower is blowing or how hard the motor is working. For example, in the summer you raise the speed to make your home or office cooler, or you lower the speed to make the air warmer. Air conditioning and heating units with multi-speed air handlers work on two to four speed settings that you manually control. Variable-speed air handlers have the ability to speed up or slow down on their own. Variable-speed air handlers have many advantages over multi-speed air handlers. Variable-speed air handlers can: overcome obstacles such as a clogged filter or faulty ducts to maintain the air temperature in your home; operate more quietly; save electricity (It does not have to work as hard because it can sense an increase or decrease in air temperature and correct it by slowly ramping up or down, as opposed to forcing a lot of air at once); and maintain temperature consistency from room to room. The real advantage of a multi-speed air handler is the initial cost. The price difference between the two types can be as much as $1,000, according to AC Service Technician, Alan Boleware. Another advantage of a multi-speed air handler is the replacement cost, which will be less should you ever need to replace it. However, a variable-speed air handler is more efficient overall, and the savings in electricity bills from running a variable-speed will eventually make up for the extra initial cost. Is it Better to Leave My Air Conditioner On? When to Replace a Central Air Unit? What Are the Advantages of a Two-Stage Cooling AC Unit?